Home Johan Hedberg Marc-Andre Fleury Pittsburgh Penguins Tomas Vokoun Tomas Vokoun "Could Have Died, Might Retire"
Tomas Vokoun just can't catch a break. For the second time in his career, Vokoun will miss significant time due to a ailment that causes him to have severe blood clots. Vokoun was already declared out indefinitely by the Penguins last week due to his blood clot but now there are reports coming from a Czech interview that Vokoun's career might be over. In a Czech interview, Vokoun told Karel Knap of iDNES.cz that he could have died this past weekend from his blood clot and that he might be forced to retire because of this. The quotes have been translated from Google translation per Shelly Anderson of the Pittsburgh Post-Gazette. The good news is since this report was made, Anderson of the PG was told by Vokoun's agent, Allan Walsh, said that Vokoun "wasn't fully quoted in Czech report; and that any blood clot situ leaves you feeling lucky to be alive." Which is very true, at least as far as blood clots go. More from Walsh . Anderson is also reporting that Walsh has stated that Vokoun is already being cleared for light workouts as early as next week. So as you can see there are a lot of conflicting reports on this right now. 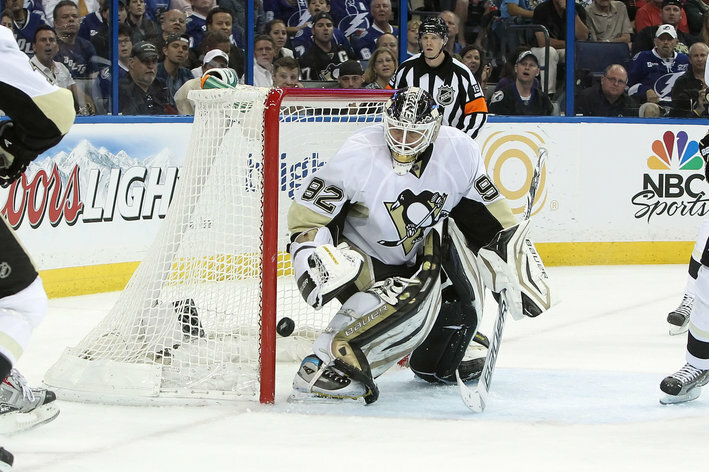 Without Vokoun, the Pens would be forced to use 26-year-old rookie Jeff Zatkoff as their backup goaltender with Marc-Andre Fleury as the starter. Our friends at Pensburgh.com reported that the Pens were in talks with veterans Jose Theodore and former Pens' goalie Johan Hedberg. We'll keep you posted with the latest news.